Penders, B. (2017). All for one or one for all? 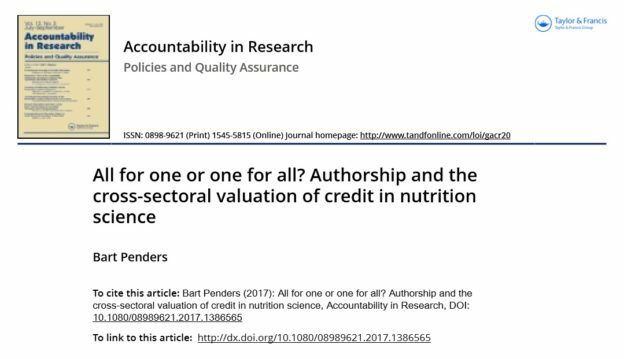 Authorship and the cross sectoral valuation of credit in nutrition science. Accountability in Research (online ahead of print). Dit bericht werd geplaatst in Nieuws op 23-10-2017 door roelinkabroekhuizen.